We adore Micky & Stevie's little range of children's table lamps!! Colourful, whimsical watercolour images dance around a simple, cylindrical shade and when turned on, they look magical! Perfect for a child's bedroom or a family living space. In this scene, a little girl plays on a swing hanging from the branches of what might be a weeping willow tree. Swallows dip and dive amongst the leaves while a fawn stands to the side, perhaps watching the little girl swing. 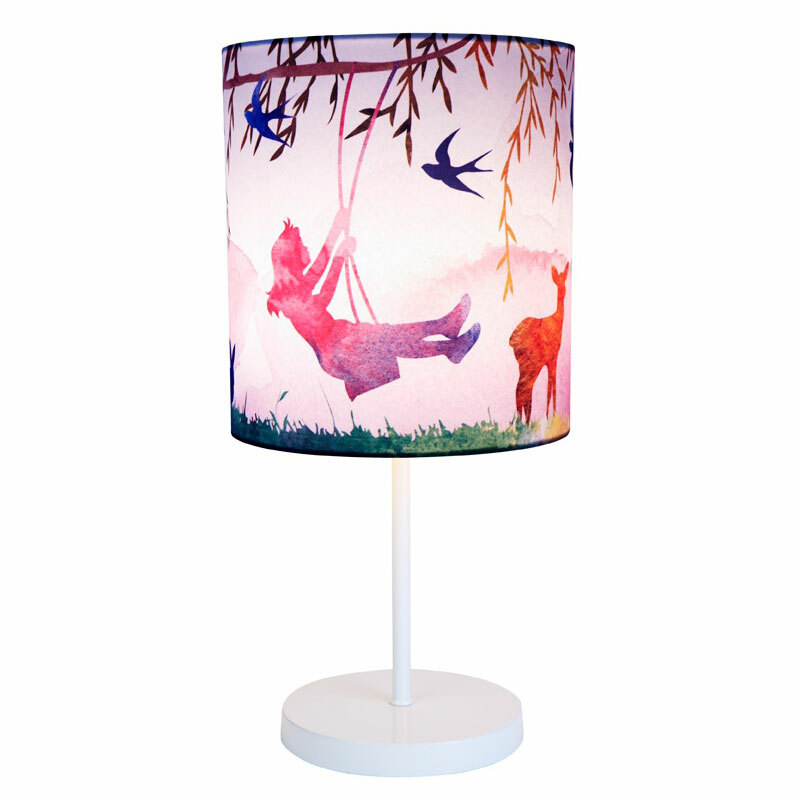 * Little Girl Print Lamp ships as a large parcel and does not qualify for FREE SHIPPING offers.